Major League Baseball was one of the first major sports to get their streaming service online. Other leagues have followed suit but MLB.TV was the first and still remains a very viable option for watching baseball games online. Here are the networks and services that currently offer streaming options for MLB games. Choose one that works well for you. If you’re dead-set against subscribing to cable but still want access to all MLB games online reliably there are a couple of new options for you. Sling is a cable alternative that gets you access to almost every sports channel you can imagine. Think of it as a streaming only cable package at a fraction of the price. 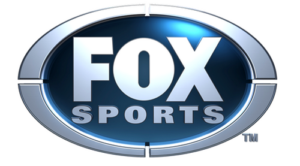 TBS, ESPN and most Fox Sports networks are all there along with the MLB games you need to stream. MLB games appear on various networks across the country. Each of those networks have their own apps with their own rules. Visit the team link above to see what network is streaming your baseball team’s game and find out if they have an app. MLB.TV is the official streaming option of Major League Baseball. You can subscribe for a bit over $100 ($112) per season and that will give you access to most MLB games online. It’s not free but at this cost it won’t cost as much as cable if MLB streaming is your only fixation. You’ll also be subject to blackouts so be sure it works in your area for the team you want to stream. You’ve probably heard about streaming websites that promise full access to all MLB games live. It’s true that sometimes these portals do stream MLB games but you’ll have to dodge a ton of advertisements, viruses and legal issues to get your fix that way. We recommend using one of the above options to watch MLB games online. We’ll update this guide as MLB streaming options change.